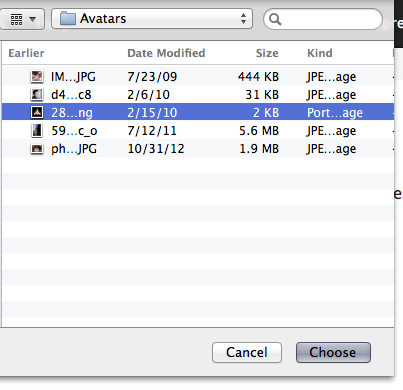 For your Gravatar to work properly, we'll first need you to provide us with an image for your profile. 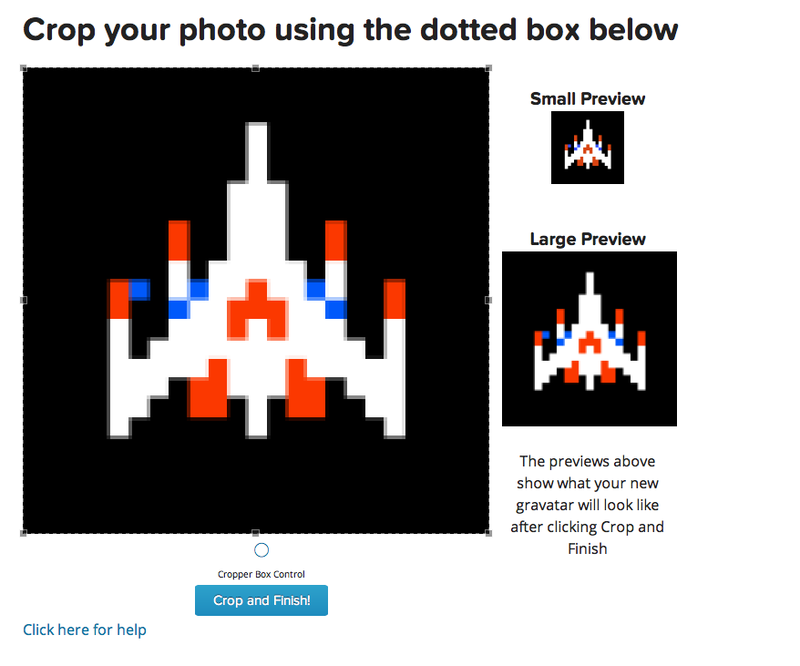 Follow these steps to upload that image and prepare it for use with your account. Login at Gravatar.com using your WordPress.com account by clicking the button at the top-right of the page. We'll ask you where you'd like to source this image. Click My computer’s hard drive. Now we'll ask you to direct the uploader to the image in question. Click Choose File. Choose a rating for your image, making sure your image is appropriate to the rating. 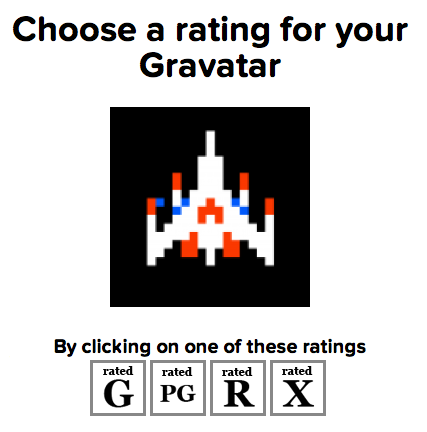 Keep in mind that many sites will only display G-rated Gravatars. Click on the rating you think is appropriate for your image.